1. For the marinade: In a large bowl mix the onion, garlic, lemon zest, lemon juice, dill, parsley, red pepper flakes and 4 tablespoons of the olive oil. Set aside. 2. For the seafood: Meanwhile pat the seafood dry and mix it with the remaining 2 tablespoons of olive oil to which you have added a pinch of flaky sea salt. Grill the seafood in batches, turning over after 1 minute and continuing until just done, about another minute. Or, if preferred, heat a heavy, cast iron pan — preferably a ridged, grill pan — over a high heat until the pan is very hot and then place the seafood on it and cook, for 3 to 5 minutes. 3. 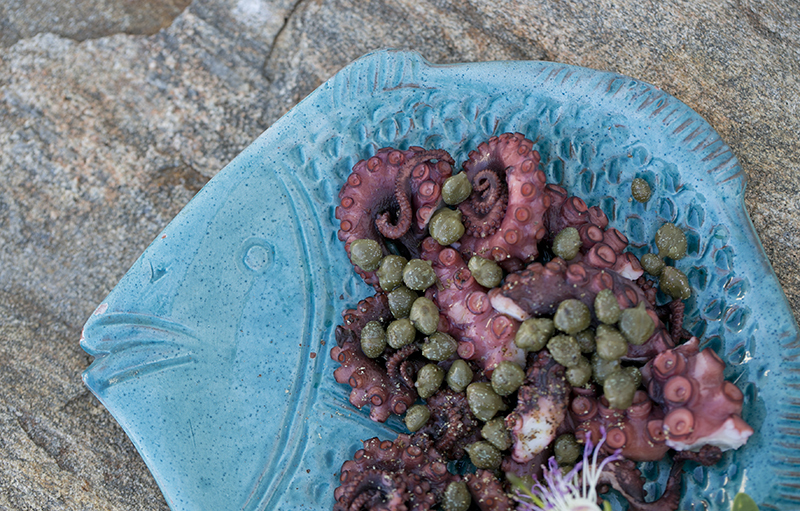 Transfer to a cutting board and slice calamari into thick rings and octopus into chunky pieces. 4. To combine: Put the seafood in a salad bowl and toss with the marinade while still warm. You can serve immediately or leave in the refrigerator for up to a day. 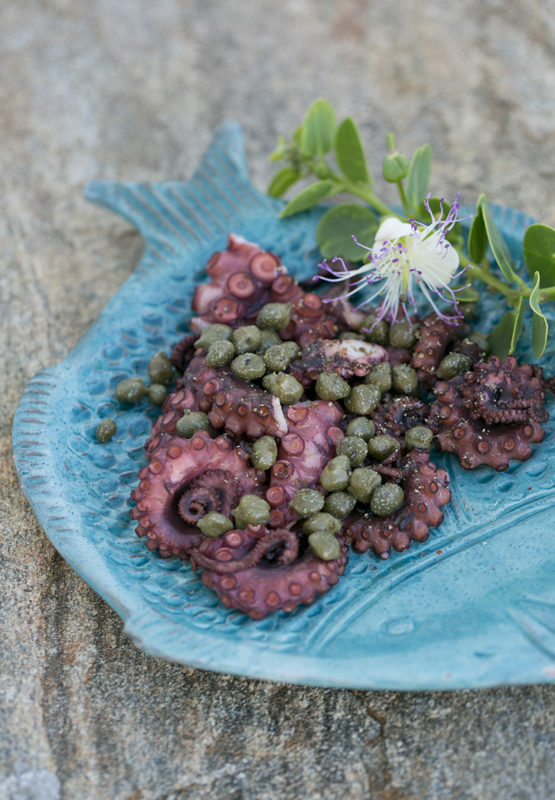 When serving, stir in the capers and fresh cilantro, and taste for the seasoning.